Safety in 10 of Europe’s busiest tunnels is improving, according to the 13th European Tunnel Assessment Programme (EuroTap) test, which singled out the Wattkopf tunnel in Germany and Tauern tunnel in Austria for special praise. But the study found room for improvement in two Swiss tunnels, located at Gubrist and Isla Bella, with particularly regard to escape routes and fire protection. “The latest EuroTAP results show that important improvements in tunnel safety have been made in recent years,” said Jacob Bangsgaard, the Brussels-based director of the FIA automobile association. “These have been spurred by legislation which has required fresh refurbishments, higher standards, new tunnel safety plans,” he added. Large-scale construction work is still going to ensure that European tunnels comply with the 2004 European road tunnel safety directive, which aims to make all of the continent’s tunnels safe by 2019. That directive was partly inspired by a catastrophic fire in Austria’s Tauern tunnel which killed 12 people and injured 42, in 1999. Tunnel operators expressed particular satisfaction that Tauern was one of two tunnels to receive a ‘very good’ rating in the EuroTAP test, along with the Roer tunnel in the Netherlands. 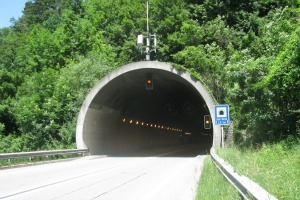 Another six tunnels received a ‘good’ bill of health: Schweizerhalle in Switzerland; Allach and Wattkopf in Germany; and Dervio, Colle Capretto and San Pellegrino in Italy. No tunnels received negative ratings, but Switzerland’s Gubrist and Isla Bella tunnels were just found ‘acceptable’, possessing neither lay-bys, emergency lanes, or loud speakers in the tunnel’s tubes, portals or emergency exits. “These are essential to inform tunnel users about hazards in an emergency or to give them instructions,” the study says. With a maximum speed limit of 100 kph and a daily traffic volume of more than 100,000 vehicles, Gubrist also has a high number of accidents. Overall though, the safety trend was “positive” and improving, according to the study’s authors. “Tunnel operators have been seen to react very quickly to the independent tests carried out by EuroTAP,” Bangsgaard said.